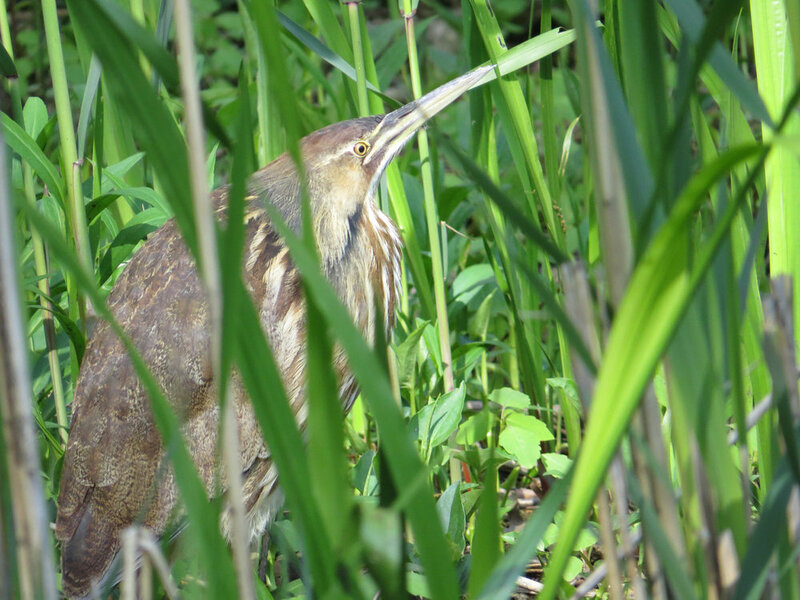 I have seen only one American bittern, on May 8, 2016, at the south end of the Oven. Another was reported in the Ramble in September 2016, but unfortunately I didn't get to see that one. 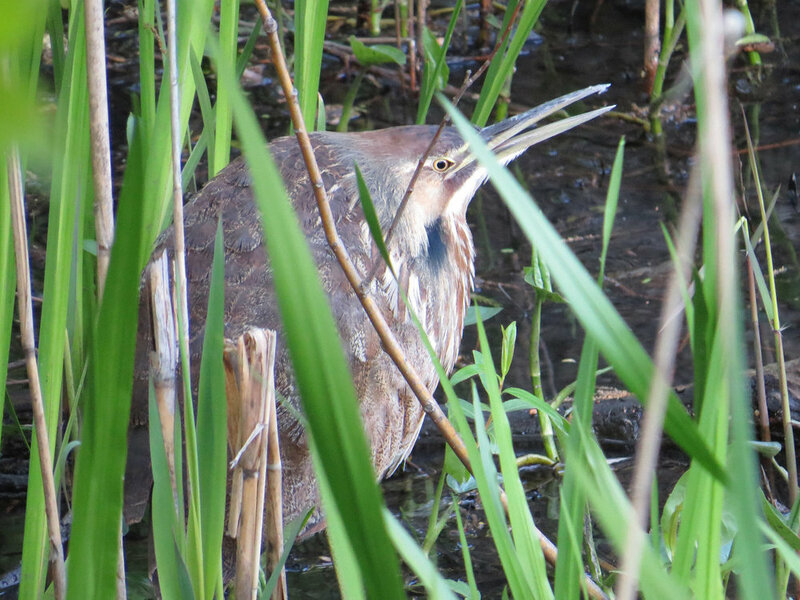 These photos and the Filming the Feathers video are of the May 8 sighting. 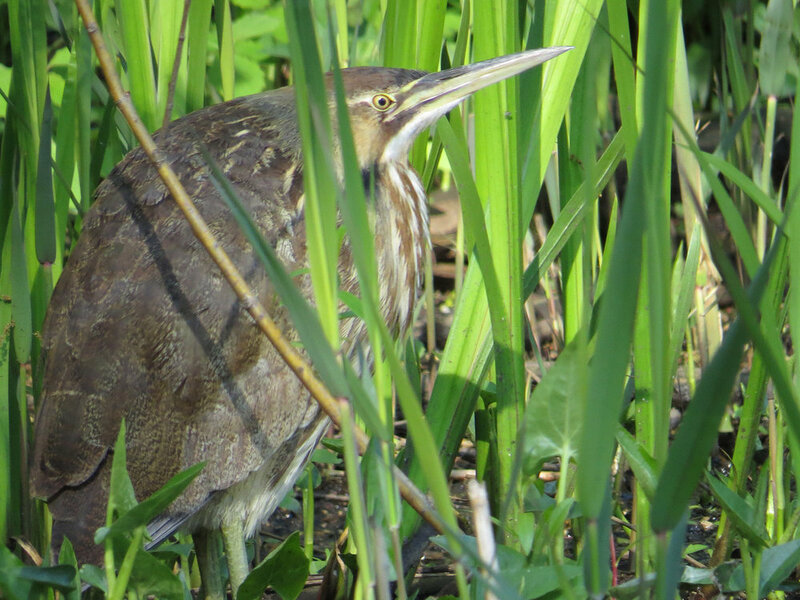 This is a beautiful heron, with a longer bill and longer neck than either the black-crowned night heron or the yellow-bcrowned night heron. 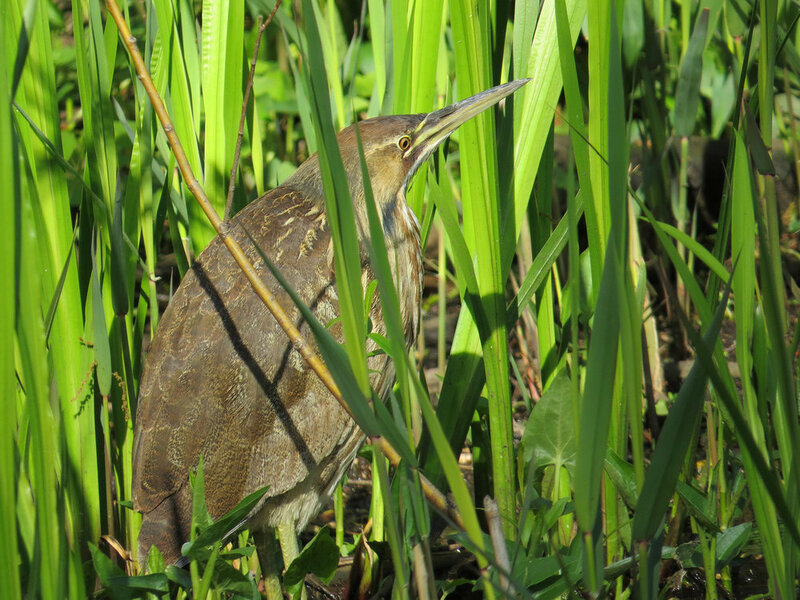 The birds are generally not seen in the open, but stay in the reeds. They eat fish, frogs and insects primarily. 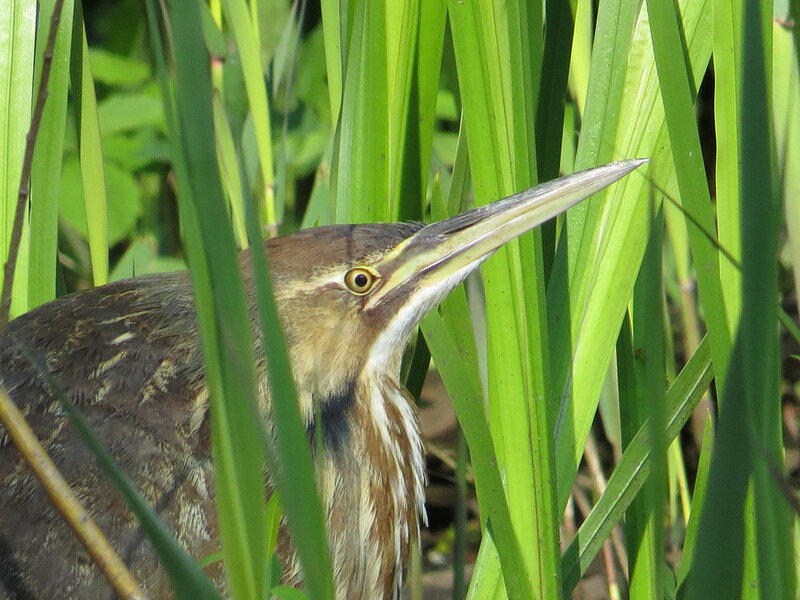 To read more about the American bittern, check out the Cornell Web site.